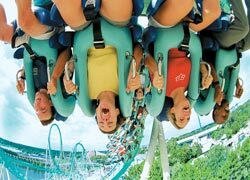 If you’ve got children, or are still a big kid yourself, there can be few better places to go on holiday than Orlando, Florida- the theme park capital of the world. With a fantastic climate and loads of attractions to boot, Orlando is one of the best destinations for an unforgettable family break but how can you make the most of it? If you’re a fan of theme parks, you’ve come to the right place – although you probably knew that already. Boasting Walt Disney World Resort, LEGOLAND, SeaWorld and Universal Studios, amongst a host of smaller parks and attractions, there’s more fun to be had in Orlando than you can shake a stick at. Or if you’re visiting the Harry Potter experience at Universal Studios, make that a wand! Yes, the theme parks in Orlando really are so spectacular that you need to dedicate at least a couple of days exclusively to them and once your kids see what’s on offer you may have a hard time dragging them anywhere else. As most of the parks are relatively close together, you should consider renting out a villa in Orlando. What trip to America would be complete without cruising down a highway in your very own American-made car? If you really want to give your kids something to remember, hire a classic convertible and head out for a drive in the country, stopping at a good old-fashioned American diner on the way, of course. In between all of the theme parks and shopping malls, Orlando has some great natural spaces to explore. For a day of peace and relaxation, head to Lake Eola where you can hire boats and paddle on the water at your leisure or stroll around the park at the lake’s edge. If you like your nature a little more exotic head to Discovery Cove where the visitor numbers are carefully controlled in order to ensure that up-close encounters with the resident dolphins, sting-rays and tropical fish are as unique as possible. Plus its location makes it easy to reach from most villas so you don’t have to worry about lengthy journeys to get there. As a family holiday destination, Orlando takes some beating, so why try it? 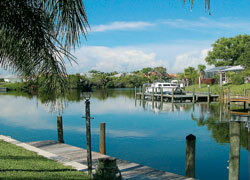 Book yourself and your family a Florida villa today and start making some fantastic memories today.